2 These are the Steps To Control PC Using Android Phone. Today Android devices are used by everyone. In the current modern time, Android mobiles become our companion. Android devices are popular in youngsters because of their reasonable price and latest features like high-quality camera, Large RAM capacity, High-speed CPUs, Large Storage size, fast internet and much more. Another reason for Android device become popular is its large Market known as Google play store where some Android Apps are available for the different purpose. Android device competes with the computer in every field. Sometimes we are at a different place, and we have to access our PC to view some important files or control an action. Sometimes we have to guide a friend or family about some steps of a particular App. So we need to Access their PC OR Computer. We need a PC to Access their Laptop, but sometimes at the movement, we have no computer. SO we depend on the Android phones. Android phones are used to control the PC. If you do not know how to control Computer from Android device, then this Tutorial will help you. In this article, we are going to show you how to control PC using an Android phone. 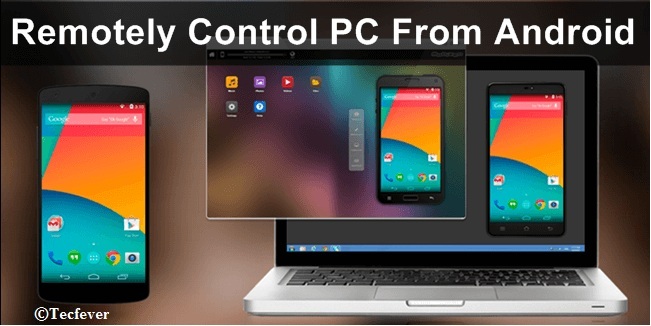 These are the Steps To Control PC Using Android Phone. Step 2: Launch the application to your desktop by double click the Team Viewer file. Step 3: After Launching the application, you will see a window with a username and password. Note that this username and password for later use. 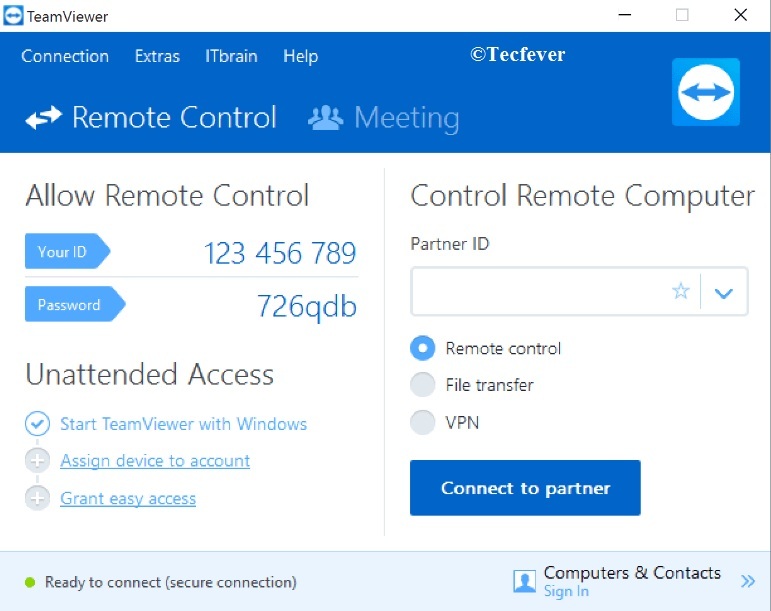 TeamViewer is one of the favorite Android apps to Access PC from Android device remotely. It is available on Google play store for free. It provides easy Access to your remote computer without the interruption of the firewall. We can access our PC at home to gain the necessary information. It gives you the full mouse and keyboard functionality and allows you to transfer file in both directions. Approximately 50 million people download this App. Step 1. Download and install Team Viewer from play store OR click on the button below. Step 2. 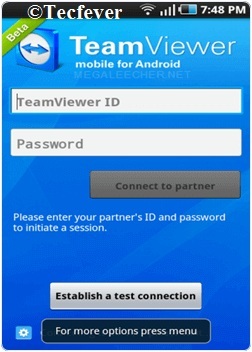 Launch the Team Viewer on your Android phone. After starting, you will see two columns 1. username and 2. Password. Step 3. Now you need to enter the Team Viewer Username and Password from the computer to Android phone. After that click on the connect to partner button. Step 4. Now, you are connected. After connecting, you will see the control guidance. Minimize it to see your desktop screen. Note: Here If enabled on the computer, You can also browse the file system of your Computer and transfer any file you want if the feature has enabled on the PC. We hope this post will help you to get connected with computer and android phone. We always here to help you and we always care about you. Kindly follow the step to manage your PC from an Android device. Share with your friends to care them. This article will be very helpful for you. If you face any problems, please comment here. If you have any doubts, ask to us. You can comment here, and you can also mail us. Thanks for being a part. Share it with your friends and help them.